one of Monrovia's most recognizable homes. It all began back in 1980. Monrovians Bruce and Lyn Carter, living in a 1917 Craftsman bungalow, were out walking one evening and happened to meet Charles and Janet Manning who were living in town in an 1888 Folk Victorian house. That chance meeting revealed that the two couples were struggling with the same problems in attempting to restore their vintage homes. They wondered if there were other homeowners with similar interests facing those same obstacles. To find out, a meeting date and location were soon agreed upon. 1) Meetings were held to discuss restoration/remodeling of old houses. 2) The group would provide sources for needed services. 3) Research historical information on members’ older homes. 4) The group would provide a library of information. 5) The group would hold social events such as tours. To raise money for mailings and meeting refreshments, the group held a yard sale on November 1, 1980. 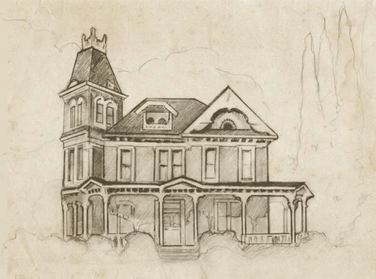 In those early years, numerous newspaper articles in the Monrovia News Post, the San Gabriel Valley Tribune, and the Los Angeles Times chronicled the groups’ efforts to preserve, restore and display their historic dwellings. The first home tour by MOHPG was held March 7, 1982, and included five homes and the Anderson House Museum (plus five “drive by” houses). The tour was only for the Santa Anita Model A Club and the Foothill Division of the Vintage Chevrolet club; it had between 75-80 people in attendance and netted the group $118. The next year the tour was held on May 22, 1983, in conjunction with the Monrovia Days activities. It was co-sponsored by the Los Angeles Conservancy, and the proceeds ($1,888.27) were shared by MOHPG and the Conservancy. The first time the tour was on Mother’s Day was in 1986, and it was held on that day for 30 years. Beginning in 2016, after receiving input from members, tour goers, and the community, the MOHPG Board voted to move the tour to the first Sunday in May. This will allow those with family obligations on Mother's Day to attend the tour. In 1986, MOHPG began its highly popular matching grant program which continued until 2008 when it was terminated by the board of directors. Proceeds from the Mother’s Day Tour were used to fund projects ranging from porch work to replacement of floors to updating plumbing and electrical systems. In its inception, projects were judged on their “worth” by a panel of judges not affiliated with MOHPG. Then in 1999 a lottery system was implemented so that every applicant had an equal chance of winning. 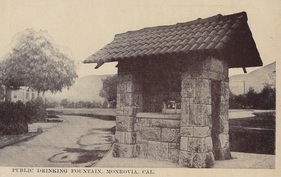 In addition, the program was opened to the entire community (not just MOHPG members) and could include any structure in Monrovia built prior to 1930. Winners of the drawing had 9 months to complete their project. Structured as a matching grant, winners had to spend at least $750 to be entitled to the full $750 offered by MOHPG. MOHPG is a participant in various community activities, co-sponsoring a concert for the summer music series in Library Park and the 4th of July fireworks show and providing entries in the Monrovia Days and Christmas parades. The group makes an annual donation to both the Monrovia Historical Museum and the Anderson House Museum and also helps sponsor the summer reading program at the Monrovia Library. In 2004, the group completed production of a self-guided Motor Home Tour (still available for purchase at our Online Store), allowing people to drive around town and see some of the more significant structures while learning about them on an audio CD or cassette playing in their car. In February 2006 and then again in May 2014, the group sponsored a workshop on the Mills Act and Landmarking that were both well attended. After updating its mission statement a few years ago, the group changed its name to the Monrovia Historic Preservation Group (keeping the MOHPG acronym) to acknowledge the organization’s interest in dealing with all areas of preservation in the community. Most recently, MOHPG published a Visitor's Guide to Monrovia which is available free and can be picked up at City Hall and the Monrovia Chamber of Commerce plus other locations. On September 9, 2017, MOHPG partnered with the Monrovia Fire Department to sponsor a workshop on earthquake safety. The featured speaker was Margaret Vinci from Cal Tech. Over 50 people attended and received excellent advice on ways to prepare for the "big one." Future workshops are being planned. 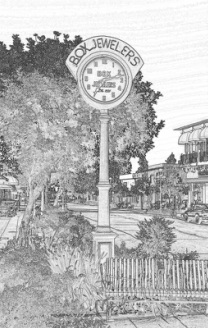 In 2003, MOHPG became the stewards of the Boxx Jewelers clock on Myrtle Avenue in the downtown shopping district. The clock has been a fixture in the downtown since the 1920s. MOHPG is responsible for maintaining the clock in working order and making sure the time is correct. A further foray into preservation found MOHPG restoring a USPS mural, which had been stored in the basement of the Monrovia Post Office for over 40 years. The mural was painted by prominent California artist Helen Katherine Forbes in 1940 under the auspices of the Federal Arts Project. 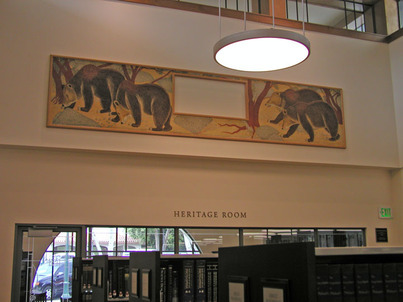 The scene depicts four bear cubs – painted on a canvas three feet high by over sixteen feet long (a second and much smaller mural of the mother bear is known to have existed, but its whereabouts is as yet unknown). The existence of the mural was brought to the attention of the MOHPG Board of Directors by member Walt Shelly, and in May, 2004, MOHPG hired a conservator to examine the mural and make recommendations for its repair/conservation. the existing grill in 1940. With financial backing from the Arts in Public Places fund, the mural was shipped to Chicago for restoration. After five years of working to have the mural restored, it was finally and permanently hung in the adult section of the new Monrovia library, on the wall just above the Heritage Room. That installation was completed on April 7, 2009. The residents of Monrovia, many of whom had never seen the mural except in pictures, finally got their first view of the fully restored mural when the library had its grand opening on May 16, 2009. In April 2013 the group helped raise funds to enable the relocation of the oldest carriage barn (c. 1890) in Monrovia to a new home in the community. While the restored barn sits on private property not able to be viewed from the street, the building has been re-purposed for a new use and was not lost. This is an early postcard view of the fountain before the August, 1913, auto accident which almost destroyed the fountain. In August, 2013, an automobile almost totally destroyed the Library Park fountain, a structure that had stood at the corner of Lime and Myrtle Avenues since 1909 when it was donated to the city by the Farmer's Club. When the City asked for MOHPG's help in restoring the roof portion of the fountain (the granite pillars were restored by Bruce Goss of Sierra Madre), the group did not hesitate. The opportunity was too good to pass up - a partnership between the City of Monrovia and MOHPG that would work to the benefit of the community. Twenty months later, the fountain once again graces the southeast corner of Library Park. The project required repairing four 6"x 6" roof support beams, ordering beaded board for the underside, and getting replacement tiles for the roof (approximately half of them were destroyed). The restoration of the roof was carried out by a dozen MOHPG volunteers who received encouragement from passersby who were relieved to see that this historic icon would be visible once more. The last tile was placed on March 22, 2015, twenty months after the car accident. When the Monrovia Legacy Project identified 67 homes built before the end of 1887 and still standing, the MOHPG Board of Directors felt impelled to doing something special in the form of recognition. Consent from 44 of the homeowners was obtained, allowing MOHPG to place a brass plaque (photo at left) on each of those homes, identifying them as our "first houses." The plaques were installed during December 2018-January 2019. While this designation carries no other benefit other than recognition, it does allow the community to easily identify our oldest homes as being special. Today, MOHPG remains one of the largest non-profit organizations in Monrovia with an active membership of over 200 households. Members continue working to make a tangible difference in the appearance and livability of our community. If you are not yet a member, we hope that you will consider joining us on this mission. You can visit our Online Store to purchase a membership or make a donation to help us continue restoring, preserving and maintaining our wonderful city. Thank you for your generous support.